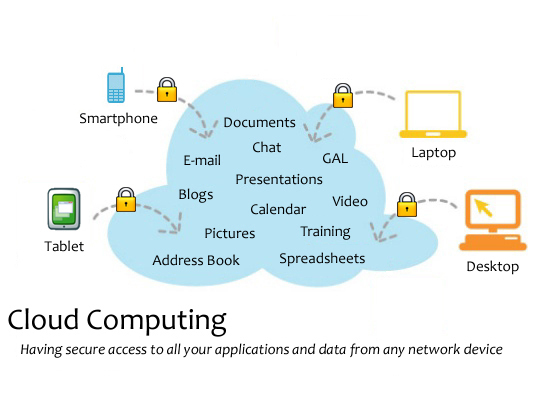 Web-Based or cloud applications are all the rage right now, you hear about them everywhere. You are probably wondering how they can benefit your nonprofit, and what if any of them are a good fit for you. There are so many types of cloud services today it can be a bit of a daunting question to ponder. We are going to keep things very simple. Here are ten reasons you should learn more about web-based services in general, and how they can potentially benefit you and your nonprofit. Save Time: Running a nonprofit is like having two or three full-time jobs. Because there are so many things that we could be doing–time–is one of the most valuable assets you have. Web-based services typically equate to a substantial time savings. From on the go email to no longer having to install software updates, web services can really make an impact on efficiency. Share and Empower: I have found that having key applications in the cloud makes it much easier to share information and skills among my team. This means my team is more empowered to do things that only I used to be able to do. That is a win/win. Work from Anywhere: I spend a lot of time traveling, so being able to work, in addition to accessing my full email and calendar from my mobile device is critical. This allows me to be productive when I am waiting in lines, at restaurants, and anywhere really. The thing I love most is that when I am in the office; I am not playing as much catch up. Keep in Touch: When I am traveling I like to keep in touch with my family via mobile video calling, but I also use it to stay in touch with donors and my team. Video calling adds a face to face interaction (which I am a huge fan of) in a very convenient way. Stay Safe: Your data is your lively hood. Backing it up in a secure environment is essential. Learn More: Take time this summer to use a web-based survey tool to learn more about your donors. The information you gather can be used to build a more successful year-end campaign. I recommend Survey Monkey because it is easy to use and the base product is free! Build Awareness: I meet nonprofits all of the time that have not yet started an email marketing program. There are a multitude of web-based email solutions that will really make getting started easy. Consistent communication is key to building awareness for your organization. So, what are you waiting for? Collect Donations: My new favorite web-based service is mobile payment processing. Check out my last blog to see why I love it so much! Get Current: Summer is a great time to consider moving your old solutions to the cloud. Many of you close your year in June, so it’s a great time to start fresh. Think about how your organization might benefit from moving your accounting, fundraising, and/or grant management solutions to the cloud. Contact your solution provider and make it happen. Take-away: Cloud or web-based solutions can really make your life easier, increase productivity, and most importantly enhance your fundraising efforts. This summer if you aren’t already using web-based services, give them a try to see how impactful they can be.